Good tyres are a prerequisite for smooth winter driving. 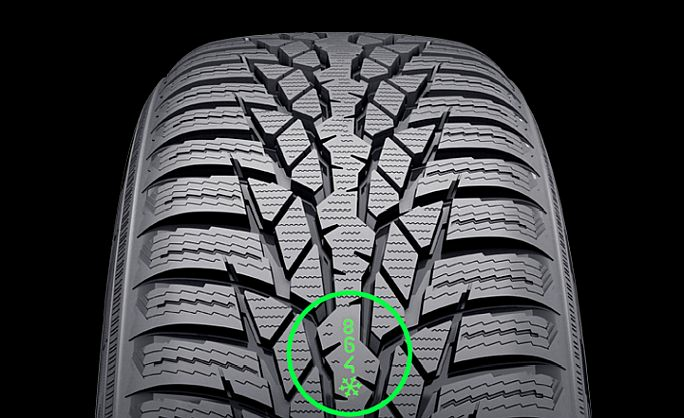 The tread has the Driving Safety Indicator (DSI), developed and patented by Nokian Tyres, which improves winter safety; it also comes with the snowflake symbol of the Winter Safety Indicator (WSI). The numbers on the centre surface of the tyre indicate the depth of the main grooves in millimetres. The numbers wear out as the tyre wears down. The snowflake symbol remains visible to a groove depth of four millimetres. Once the snowflake has worn out, the driver should purchase new winter tyres to ensure sufficient safety.